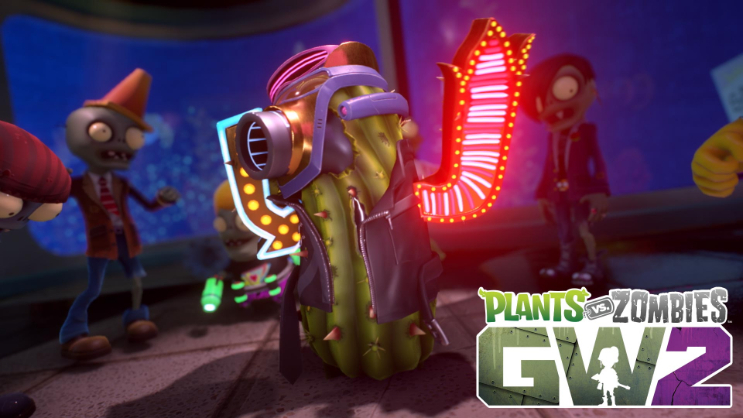 Even more trouble is on the way with the next free* major content update to Plants vs. Zombies™ Garden Warfare 2! 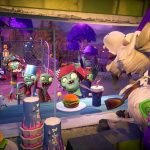 Today, PopCap Vancouver announced Trouble in Zombopolis: Part Two, an all-new update introducing massive Community Challenges with major rewards, Delivery Challenge time-trials, and more character balancing and improvements for all players on Xbox One, PlayStation®4 and Origin™ on PC. 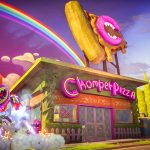 Community Challenges are a brand new way for plants and zombies to set aside their differences and work together to tackle in-game challenges that unlock major rewards – from coins to sticker packs and even exclusive items. 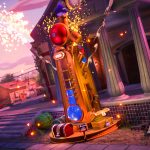 Players can visit the in-gameProgress-o-meter, a mysterious apparatus outside the Town Hall, to see if they qualify for the rewards, view the entire community’s progression in real-time, and crack open a community chest once a challenge goal is completed. 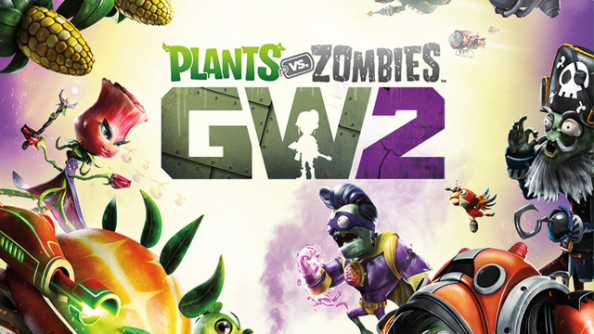 All of the challenges, rewards info, and the Progress-o-meter status are also viewable on the official PvZGW2 Community Challenge web site for players to track completion of the goals and rewards. In addition to Community Challenges, Trouble in Zombopolis: Part Two also introduces timed Delivery Challenges, putting players in control of the Rocket Chomper or the Delivery Goat as they battle against time in platforming races with hot deliveries. 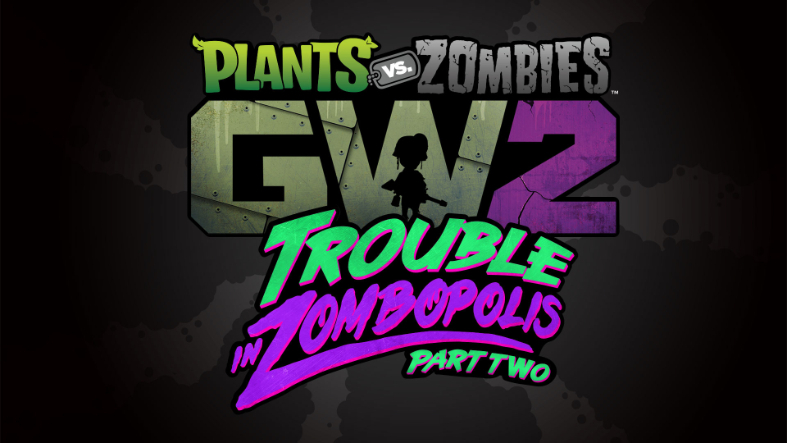 Finally, Trouble in Zombopolis: Part Two also features more character balancing & tuning improvements. 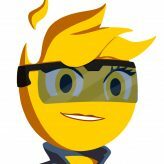 For complete details on all balancing updates and improvements, visit the Trouble in Zombopolis: Part Two blog post. 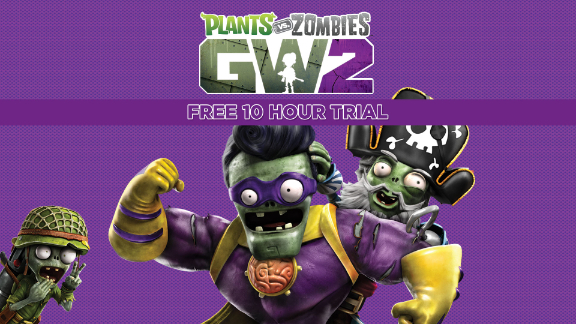 Trouble in Zombopolis: Part Two is available now for free for all Plants vs. Zombies Garden Warfare 2 players. *Internet connection and EA account required. Must be 13+ to play.